Second version of Virtual Villagers 1 - A New Home downloadable casual game has been released at Casual Games 24. 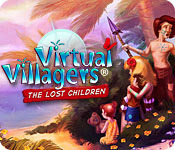 Continue the epic story of the castaways of Isola in Virtual Villagers: The Lost Children. Guide your tribe as they rescue a group of lost children and help them survive new adventures. Your villagers need to become farmers, builders, scientists, healers and parents, and will make decisions about unpredictable “Island Events” that happen from time to time. Lead your villagers as they solve all new puzzles and hidden mysteries of the west shores of the island. Will your tribe survive? Have fun! To keep the birds away from your crops, take the Master Farmer to the wood to the north of the research table. They will then build a scarecrow to frighten off the birds. where can you find the fish that eat the algae? How can we open the crate on the beach the master bulder can't do it on his own. Hi Carrie. You need 3 master builders to open the crate. bumer I have onlg two just now and nothing to build to get another one. I have bought all the building and can't get them to recognise where to build next will I need more villagers to get a new build I have 21 just now. I got the crate open thought it might of had more inside than just a piece of the gong. To carrie: To get the gone piece out of the water you need to make a stew to allow one of the villages to breath underwater and the recipe is one of the black flower and two of the red-orage flower at the south part of the island. Drag a master researcher to the pond and they will retrive the gone piece but first make them eat the stew. If you dont no how to make stews here how you do it: To make stew, you will need to have purchased Level 2 of Exploration Tech, retrieved the cauldron from the wood pile, mastered at least one of the special plants, and started a fire in the fire pit. The steps to make a stew are: 1) Drop a villager on the cauldron to put the cauldron on the fire 2) Drop a villager on the cauldron again, and he or she will go get water for the stew 3) Drop a villager on any of the mastered plants, and the villager will gather herbs for the stew. Each stew requires a total of 3 herbs, in any combination. 4) Drop a villager on the cauldron again, and he or she will go get food to add to the stew. When the stew is complete, the villager will move the cauldron off the fire. Some stews are good, some are bad, and some make your villagers do interesting things. I find it really hard to get a village eleder because you need to have a villager master 3 skills and mine always die befour i get the third skill mastered. ah to get the last build in the puzzels you need all the medicine bought. wow I am nearly there once they finish the hospital the puzzels will be done, just need to buy the science and try and get the other beatles and pebbels that are missing. you have to clear the vines that are infront of the research table. Once those are cleared and you have bought some exploration the beetles will start to show up. How do I get the mosiac completed? I've tried everything I can think of? I finally have all of the puzles pieces but i cant seam to get the last stone, butterfly, and the beetle. Has anyone have all of them and how do i get them. And is there a way to get more then 55 kids. Thats all I seam to be able to get. How do you get the last piece of the gong? have bought all of the research and solved all puzzles except the gong. Do I need to collect all of the stones, bugs, shells and beetles to get it? Also, I have three different games going at once. In one, I have 19 hours on the fire. The others will only allow me 9 hours. Why? I have all the puzzles and milestones except for the one with a plant. How do you get it? Did you ever receive an answer? You need to research the plants. Drag one of your people to the blue flower directly north of the research table. One they study the flower you will receive a message that says your villager now understands this plant. Do the same with the plant in the north corner, next to the moss used for fire. Check all of the plants and flowers until you find the right ones. I believe they are the row of black flowers, near the cemetery, another light blue flower north of cemetery, next to yellow, red flower next to the rocks and the mosaic, and the red/orange flower south of the medical hut. I need HELP! My ocean never filled up with algae so now I have level 3 of farming and I don' know how I am going to be able to complete that algae puzzle!!!! How do you clear the vines? I am just in maintaining mode for my VV2 and I am having the same delima about the gong piece. If you find out please let me know. I have gotten all the beetles but, need one more shell, two more stones, and three more butterflies. Mine just keep repeating themselves. I still can't find the fish that eat the algae. When Carrie said to have all the harvest bought: I assumed that meant "brought in." So, I've tried putting master scientists & master farmers in then, before the harvest comes in, and during the harvest. So far, no luck. I'm an OLD woman and maybe I'm too old to learn new tricks! Help will be appreciated! to get the fish that eat the algae all the farming needs to be bought from the tech. once that is bought, take a master farmer or scientist to the pond with the waterfall and they will find the fish and take them to the ocean. you will need quite a few fish. How do you know what stews are good? I either make my villagers very ill or have to go to the bathroom! To get the totem, you'll need to make a villager a MASTER at three different skills. A totem will appear where ever they were, but you can move the totems when ever you what after that. i have got everything except the puzzle with the plant? what is it and how do I get it? Thanks Island girl but my villager master in healing and building and farming and died at 84 and no totem so i dontknow how else to get it and the last piece of gong as well i got all the collectibles as in butterflies and beetls etc. I FOUND THE LAST GONG PIECE!! WOOOOOT! I don't want to ruin it, so if you want to know, click on my name to find my blog. just finished *all* of the puzzles. just waiting around for a bug or two and some stones. Can anyone tell me what the first "uncommon" beetle looks like? I have everything but that, and have been looking for day's now. (SIGH) Also I am having problems refreshing my stats...it keeps asking if I'm on line. And one more thing...are you only able to have 50 elders? I have a little person who is a master in 3 things and she hasn't become a master. So I have all of the puzzles completed. Does anything happen after I collect the remaining beetles and rocks that I have left to find? Thanks! How do you irregate the soil? Also, where to you get he tool to cut te vines? Hi, where do I find something to cut the vines with? Also, I have a master farmer but can not figure out where to go to make a scarecrow. I have seen the post that says "north" of the research table, but I only have vines and a cemetary north of the research table.... any other suggestions? Please help, I have algae in the ocean, coconuts are gone and the crows are eating all my crops and my people are dieing of hunger! Thanks for any help you can offer!!! Bring your master farmer to the area of strangely twisted sticks (or something). It's near the rocks/pebbles. They will begin to make a scarecrow. You might need to drag them there twice to finish it. Good luck! The algae eating fish take FOREVER to get because you need to get level 3 on the farming. But once you get the scarecrow, you will be able to harvest crops. Just be careful not to make your population too big because I was always running out of food before the new crops were made. The first uncommon beetle is an aqua color with a little red on it's wings. Good Luck! Does anything happens when i have them all? I got the piece of gong using the totem pole and as my villager was carrying it to hang up I cleared the algae out of the sea and everyone dropped what they were doing and ran over to celebrate. So she never hung the piece and when she dropped it it disappeared. Is there any way to get it again? If I have to restart I'm giving up. I left it a few hours and then I was able to make the totem piece appear again. Phew! I'm still missing one each of the collections except butterflies. Sooooo...when you get all the butterflies, it just brings the maximum population up by five people. I'll let you know if I get any others unless someone comments first. :) Happy Hunting! I just completed the beetles, and it's the same thing; an extra five people to the maximum population. I honestly think they could have come up with something better then that. I mean, by this time, you've maxed out all techs, your food bin is in the hundred-thousands, and you don't really need any more "workers". No need to bash me, it's just my opinion. What's yours? What do you think would be a good "prize"? just to let people know... if you make a stew it may not have the same reaction everytime. all my male villagers died so i only have females left so that means i cant get a higher population and i cant collect any items cause all my children will eventuall grow up! is SOO far in the game and i dont wanna start over! can some one PLEASE help me? has anyone found any new secret stew recipies? also... does anyone have tricks to speed up the process of getting tech points? i have forty somthing thousand and i need to get to eighty-five thousand. The sustainable fishing puzzle can be completed even if you never got the algae, by taking all master farmers and scientists to the pond and they will identify the algae eating fish. I ran into the same problem on one of my games and I know it works. I've blogged the stews I know of. I've only gone through the Lily combos, so they're not all there yet. My couldron has gone?! Anyone know where I might find it? My cauldron is gone as well ... where would it go? How do you make someone master a plant too? How do you collect Tech points faster? trina... have someone who is a master tech doing the tech points. also the more people you have doing it the more you will get... ALSO.. the nmore science points you buy, the faster you get tech points! I have located 3 gong pieces (in the pond, the cave and in the crate) and have finished all the puzzles (edcept for the last gong piece), but I can not figure out where the 4th gong piece is.... Please help! Never mind, I found it!! Woo-Hoo!! Chelsea, is your mosaic uncovered? It needs to be before you place the totem in the center. Where do you find the first rocks and beetles? I'm at the beginning? TIA!!! For those of you who have found all the collectibles and wish there was something left to play for, you can still collect totems: every combination of 3 skills gives a different totem. Also, to produce elders, make your villagers master 2 skills APART FROM PARENTING, then wait until they turn 50 (they can't have children then) and have them kiss repeatedly without letting them "go indoors" (no use); any villager can become a Master Parent within 10 mns! How do you uncover the mosiac? And how do you get your garden thing growing like it says the soil needs irragation.... How do you get thatt? who are the best people to have build the dam? because i had it on 2x speed overnight, and all the coconut trees are depleted, so i have no food. i need the dam built fast! Puzzle 4:cutting tool: need to go north on the graveyard side where the rocks are there is a shiny metal on the ground and also get the twisted vines. Puzzle 5: 6 herbs, brown one on northwest side next to the coconuts, blue one north of the village, purple one in the north of the graveyard, black one in the graveyard, orange one south of the village, red one southeast next to the mosiac. Puzzle 6: Totems, you need a master on 3 different skills to get this. Puzzle 7: Algae fish, you need level 3 farming bought before you do this..put a master farmer or master scientist in the pond to get the fish, keep doing it to clear the ocean. Puzzle 8: vines on the rocks, you need level 3 culture do remove the vines. Puzzle 9: stew, you need to get the bowl from the wood pile, put in 3 herbs, water, and food to make stew. Puzzle 10: Mosaic, you need to clear vines first then move a master builder or scientist to the area to start it. Puzzle 11: Hospital, need level 3 medicine and level 3 engineering for this. Puzzle 12: sewing hut, need lever 2 culture for this. Puzzle 13: Gong piece in cave, clear the briar patch to open the cave up, will give first piece. Puzzle 14: Gong piece in crate, need 3 master builders to get it open. Puzzle 15: Gong piece in pond, need to make a stew to not breath and a master scientist, do this by adding 2 orange herbs and 1 black herb, then have the master eat it and drop them in the pond. Puzzle 16: Gong piece in the Mosaic, you need a totem placed in the middle to get this last piece. move it around till it opens. If the master has died it is still ok to use it. A good stew to make on a regular bases is: 1 brown, 1 blue, and 1 orange..this keeps the villagers healthier.. If you are having trouble getting master builders for the crate, increase your village, this will give you more houses to build. I hope this will help everyone out..Have fun and enjoy..
How do you get rid of a stew that makes the villagers sick or is unedible??? Can anyone help me? I found the cauldron and I picked it up but then I went away from my computer. When I came back the cauldron was nowhere to be found. Please Help!!?? I have got two esteemed elders and ended up with two totems, has anyone else had two or more? Yep, I have 5 totems for now, and hope to get more. Thanks for helping with Algae-Fish. Does the appearing of the Bugs and Rocks depend on something, or they just appearing independently? There are only 1 Rock and 3 Bugs left to collect. I need The Inlaid Gong Piece Puzzle 14. Last puzzle I have to do all other puzzles are completed.I have all of my Technologies fully researched,4 totems,73 people, and my collections are butterflies all 12,shells 10, beetles 8 and pebbles 9. The Ancient Mosaic Ruins is uncovered and I did put the totem in the middle of the ruins and NOTHING. No gong piece. wich color totem needs to be on the mosaic i only have the green and the blue one till now ?>????? and how do u get more totems ????? i already finished all of the other puzzles!! Several people have been emailing and asking me if there's a bug in the game. I don't know if there's a bug in the game...I didn't make it..the game that is. I've been hearing that a lot of people aren't able to break the mosaic. I've played and finished 5 villages not including all collections, and haven't had one problem with breaking the mosaic, so I can't tell you what's going on. The only thing I can suggest is to maybe try different totems...although I haven't noticed having to use a particular one. Maybe drop the totem on the center of the mosaic, and then closing out the game and restarting it. Sometimes, I've grabbed something, seen it disappear, come back and it's there again. Sorry I can't be of more help, but good luck. To get more totems you need to make more elders! I accidentally dropped the cauldron and now I don't see it anymore. Is there anything I can do? Will I be able to get it? I only need a couple more beetles, pebbles and 1 shell. Got my gong and I think 11 totems so far. Bought all my technologies. Now what??? Just buy clothes for my villagers? I had 72 villagers today, went for a 45 minute walk, came back and now I have 93. My fire went out once, had 19 hours max to start with, now I can only get 9. What else is there to do? I've been trying to put multiple kids on mushrooms and collectibles. A few times I've gotten them to pick up multiple collectibles, but not usually. And they never pick up multiple mushrooms. Is there some kind of trick to get it to work? To those of you who cannot find the last piece of the gong, you more than likely got your game from reflexive. There was a bug in the program, apparently and it has been fixed now. Here's the good news, you can go download the updated version of the game, and the gong piece will be yours. Here's the bad news.. you have to restart all of your games. Sorry. To make a tool to cut the vines with, go to the graveyard between the blue and purple flower there is a shiny metal object that looks like a corkscrew. then bring a master scientist to the twisty vines also between the blue and purple flower to get your stick. To irrigate your field you bring a builder to the stones that cover the water south of the lake with the buried gong pieceand they will begin building a dam. To get rid of a soup that is inedible you wait about 15 minutes and it will dissappear. I have all 8 totems, solved all 16 puzzles, and have all of the collections. I have rang the gong several times. Has anyone finished the game yet and knows how the game ends? Mai, I found this information on logger.com Hope it helps! Puzzle 4 is the fashioning of special cutting tools that will be needed to cut away vegetation in some parts of the village. After purchasing Level 2 of Exploration Tech, drag a master scientist to the northern part of the village where he will see something among the rocks near the twisted pieces of wood and vines. Your scientist will need to make a second trip to finish the tools, so take him to the twisted wood and vines to get the necessary materials. HOw come even if I already have culture level 2, i still don't have the sewing hut???? to uncover the mosaic you have to have level 3 of engineering and culture then uncover the vines then you uncover the mosaic. can u help what gives 2nd level science is there any use of it?? how long did you guys have to wait until you got the pot in the wood??? ive been playing for a few hours and i havent seen it there yet. Quote: "Someone mentioned "pausing" the game and dragging the children to objects. When I pause the game from the options menu, the objects disappear! Am I missing another way to pause the game???? HELP!" You can just push the space bar. well i figure the town will be starved to death by the time i get home from work. the alage is in the ocean, i don't have a master farmer (but just barely!) and the dam isn't done yet for any other farming and the coconuts are all gone. oh my. they move so bloody slow!!! JUST BUILD YOUR DAM ALREADY!!! i have 2 master buliders and 1 tht is very close bt the 1 tht is very close doesnt seem 2 b going up.. it keeps saying tht he has improved construction bt the line hasnt gone up and hes not becomein a master.. wat should i do cause ma other master builders are close 2 dyin? Please help... I have taken my villagers to all the flowers several times! and still nothing! They have studied all of them at least 20 times I grant you, why cant I get this milestone??? how can i get the gong piece in the mosaic? i already put ALL my totems in the center and nothing... is there a specific spot to put the totems, or perhaps a place to get the piece? HELP! My villagers won't have children!! I have tried every possible combination for women/men of age.. and they've all "gone indoors" several times, but no kids! I only have one child left, and they're 10 already! I've played the game before with no problems in this area... is there anything special I have to do or am I just going to have to start over? SOME1 PLZ HELP! IDK HOW 2 IRRIGATE SOIL, OPEN THE CRATE, MOVE THE VINES, GET RID OF ALGAE, OR GET THAT THING UNDERWATER (NOT THE GONG IN THE POND)! 1. Some food supplies may be limited, so be alert for the opportunity to discover new sources of food. 2. Clicking on the mask on the main game screen will reveal many different tips that will help you play the game more effectively. 3. Nursing mothers devote all of their time to caring for their baby and don't do any productive work in the village for 2 years of game time. 4. Babies eat as much as adults and making too many babies too soon can quickly create a food crisis. 5. Any villager (even a sick one or a child) can heal another villager, but healing is only possible when a villager's status is "Sick" (check the Details screen). 6. Sometimes a villager will "resist" healing attempts by a specific doctor. If that happens, try to heal your sick villager again with a different villager. 8. Villagers can become weakened by such things as prolonged disease, starvation, on-the-job injuries, Island Events, or old age. 9. Villagers who show a status of "Weakened" will generally improve in health over time unless they are sick, elderly or continue to suffer injuries. Switching them to a less demanding job will help speed their recovery. 10. The villagers need to be taught to perform a job; they will not start working in a new job on their own. It can be a good idea to monitor their learning progress until they reach Trainee status, so that they will work more reliably on their own. 11. You can view information about various technology advancements on the Village Tech screen by clicking on the "?" button for that technology. This information will help you choose the order in which to purchase new technology. 12. The villagers' curiosity is often a clue to puzzles. 13. The children can find and harvest mushrooms to augment the village food supply, but only if you make them do it. 14. Using the keyboard to zoom around the map is an easy way to search for those collectible items. There are 9 sectors of the map, which correlate to the numbers 1-9 on the numeric keypad. You can also use the row of numbers at the top of the keyboard, if your computer doesn't have a numeric keypad. 15. Picking up a villager while they're working will interrupt them, and they will drop (and lose) the object that they were carrying. Most of the puzzles are dependent upon some combination of Village Tech, villager skills, and other puzzles. Although some puzzles depend upon the completion of specific puzzles, the 16 puzzles are rarely completed in the order that you see them on the puzzle screen. Pay attention to the things that your villagers are curious about and the messages that you see when you take one of your villagers "exploring" around the island. These often provide clues that will help you solve the puzzles. Another good strategy is to drag one of your adult villagers around the island after every tech purchase and look for new things that they can work on, since many of the technologies open up new possibilities for your villagers. Most of the frustration related to solving the puzzles is brought on by impatience. It takes time for your villagers to gain the necessary skills and technology to work through all of the puzzles. You can safely browse these if you just need a gentle push in the right direction. Each puzzle is referred to by number. The puzzles are counted sequentially, with 1 being the leftmost puzzle in the top row, and 16 being the rightmost puzzle in the bottom row. Puzzle 1 is something that will provide warmth, protection, and technological advantage to your tribe. It can be solved at the beginning of the game. Puzzle 2 requires a certain level of technology and will allow your villagers to enjoy a regular, if limited, source of food. Puzzle 3 requires the completion of Puzzle 2 and a skilled villager to fashion something that will protect one of the sources of food. Puzzle 4 requires a certain level of technology and a highly skilled villager who will fashion something that your villagers will need in order to completely explore some areas of the village. Puzzle 5 involves the flowers and herbs located in various parts of the village. This puzzle can be completed at the beginning of the game. Puzzle 6 requires a villager with well-rounded skills. Puzzle 7 will open up an unlimited food supply by restoring the ocean to its former condition. You will need to have highly skilled villagers and a certain level of technology. Puzzle 8 reveals ancient writings. Your villagers will need a certain level of technology, as well as the completion of Puzzle 4. Puzzle 9 requires the completion of Puzzle 1, a certain level of technology, a hidden item, and the flowers and herbs that your villagers can find in various parts of the village. Puzzle 10 requires a certain level of two different technologies. Drag a villager to the southeast part of the village. Puzzle 11 is a special building that requires a certain level of technology. You will see a foundation appear, which your villagers can work on. Puzzle 12 is another special building that requires a certain level of technology. You will see a foundation appear, which your villagers can work on. Puzzles 13-16 involve the recovery of pieces of the Gong of Wonder, which can be retrieved only after meeting the necessary requirements. Retrieving the pieces will variously involve teamwork among skilled villagers, purchasing of required levels of Village Tech, and completion of Puzzles 6, 9, and 10. Your villagers will reveal some clues as you try various things in the game, and there will be more specific clues that you can study when you complete Puzzle 8. Don't read these unless you want to know exactly how to solve each of the puzzles. Puzzle 1 involves building a fire in the fire pit. Drag one of your villagers to the pile of dry wood in the southwest part of the village to gather firewood. After the wood is placed in the fire pit, take a villager to the very dry grass that can be found to the west of the coconut trees. Once the firewood and dry grass have been placed in the fire pit, drag a villager there to light the fire. You will need to replenish the firewood periodically to keep the fire from going out. Puzzle 2 is the construction of a dam that will divert water from the stream to an area that can be used for farming. After you purchase Level 2 of Engineering Tech, drag a villager to the rocks that are in the middle of the lower portion of the stream. You will see a message, "He/she could probably build a dam here." Puzzle 3 is a scarecrow that an adept farmer can construct in order to protect the crops from the birds. After you complete the dam (and have a farm), drag an adept or master farmer to the twisted pieces of wood and vines that are located in the northern portion of the village. The scarecrow requires two trips to complete, so make sure that you finish the construction, or your crops will not be protected. Puzzle 4 is the fashioning of special cutting tools that will be needed to cut away vegetation in some parts of the village. After purchasing Level 2 of Exploration Tech, drag a master scientist to the northern part of the village where he will see something among the rocks near the twisted pieces of wood and vines (look for things that resemble spear tips that have little sparkles coming from them). Your scientist will need to make a second trip to finish the tools, so take him to the twisted wood and vines (where you got the material for the scarecrow) to get the necessary materials. Puzzle 5 is completed when your villagers learn mastery of six special plants located in various parts of the village. Drag a villager to each of them and watch for the message that each has been mastered. The plants are (beginning in the northwest part of the village and moving clockwise): the odd-looking plant immediately to the left of the very dry grass, the blue flower between the thorns and the rocks, the small lavender flower at the northern edge of the graveyard, the black flowers near the waterfall, the bright reddish flowers south of the dam site, and the large orange-red flower at the south edge of the village. Puzzle 6 is completed when you have sufficiently trained a villager to become master in three skills. That villager will become an Esteemed Elder, and a totem will be created to commemorate their new status in the village. Puzzle 7 is the elimination of the algae in the ocean that was caused by over fishing. After purchasing Level 3 of Farming Tech, take a master farmer or master scientist to the pond, where they will collect algae-eating fish that they can use to repopulate the ocean. Once sufficient fish have been placed in the ocean, the algae will once again be under control and the villagers will have unrestricted fishing. Puzzle 8 is the removal of the vines that cover the wall on the east side of the village. After you purchase Level 3 of Culture Tech and have completed Puzzle 4, drag a villager to the vine-covered wall and they will begin cutting away the vines. Puzzle 9 is the ability to make various stews for your villagers. To make stew, you will need to have purchased Level 2 of Exploration Tech, retrieved the cauldron from the wood pile, mastered at least one of the special plants, and started a fire in the fire pit. The steps to make a stew are: 1) Drop a villager on the cauldron to put the cauldron on the fire 2) Drop a villager on the cauldron again, and he or she will go get water for the stew 3) Drop a villager on any of the mastered plants, and the villager will gather herbs for the stew. Each stew requires a total of 3 herbs, in any combination. 4) Drop a villager on the cauldron again, and he or she will go get food to add to the stew. When the stew is complete, the villager will move the cauldron off the fire. Some stews are good, some are bad, and some make your villagers do interesting things. Experiment and have fun with them. You can also find different "recipe books" that have been created for the game that contain all of the stew combinations. Puzzle 10 requires Level 3 of both Engineering Tech and Culture Tech. Drag a villager to the ancient covered floor in the southeast part of the village and they will begin uncovering the site. Puzzle 11 is the construction of a hospital. After you purchase both Level 3 of Engineering Tech and Medicine Tech, a foundation will appear that your villagers can work on. Puzzle 12 is the construction of a sewing hut, which will allow you to change the clothing that your villagers are wearing. After you purchase Level 2 of both Culture Tech and Science Tech, a foundation will appear that your villagers can work on. 1. A team of 3 Master Builders can open the crate on the beach, where one of the pieces has been hidden. 2. After purchasing Level 2 of Exploration, your villagers can clear the thorns blocking access to the gong encasement, which will also reveal a piece of the gong. 3. Prepare a magic stew that will allow one of your villagers to dive for the sunken gong piece in the pond. The herbs needed for that magic stew are: one of the black flower near the waterfall and two of the red-orange flower on the south side of the village. The pictures of the required herbs can be seen in the drawings on the wall once the vines have been removed. 4. After finishing Puzzles 6 and 10, drop a totem in the center of the uncovered mosaic to reveal a piece of the gong. Once the gong is assembled you can experiment with the effects that it has on your village. You can bang the gong once every 24 hours. You can unlock something awesome at the end but I am not telling anybody what it is yet! Do you guys know how to get the second puzzle? How do you make the cutting tool? Any help would be greatly appreciated! And what would be the end of the game? I have the gong working...thats cool...but is there a specific end? For the vines,After you purchase Level 3 of Culture Tech and have completed Puzzle 4, drag a villager to the vine-covered wall and they will begin cutting away the vines. For the Crate, A team of 3 Master Builders can open the crate on the beach, where one of the pieces has been hidden. For the pebbles, after making the dam, a variety of pebbles will appear at the mosaic occationally so be patient and alert. For your irrigation,the construction of a dam that will divert water from the stream to an area that can be used for farming. After you purchase Level 2 of Engineering Tech, drag a villager to the rocks that are in the middle of the lower portion of the stream. You will see a message, "He/she could probably build a dam here." For the scarecrow, an adept farmer can construct in order to protect the crops from the birds. After you complete the dam (and have a farm), drag an adept or master farmer to the twisted pieces of wood and vines that are located in the northern portion of the village. The scarecrow requires two trips to complete, so make sure that you finish the construction, or your crops will not be protected. what else have you not completed yet, have you tried to collect all collectibles? how do i study the flowers my people won't do it. When they say "2 years of gametime" for the baby to grow up, what time period are they actually saying? 1 day our time...? I have farming level 3 and 5 master scientist and 2 master farming, but i can´t get the algae out of the ocean. I know that i have to put one of the masters into the pond, but nothing happens. it's been like this almost 3 days and i don't see anything in the pond and i'm getting without food. ok so i have 85 people, and the only puzzle i have to solve is the gong piece in the box. i know i need 3 master builders but i only have one and some adept builders that are close to being master but not quite. all the buildings are built and it seems like just examining and fixing huts isn't going to make them reach master. do i just need to be patient or is it hopeless? how do you get a villager leveled up on healing? I had completed all the puzzles but only one of the collections(the beetles). Unfortunately, I was so irritated by the inability to update the statisitcs that I uninstalled and reinstalled. The previous times I have tried this it worked perfectly...this time however, I had to start all over again (and the statisiics still wouldn't update!) for some reason the statistics just started working again...so I think that is just a patience issue on my part? On a positive note, I found that since I only started one game this time, I paid more attention to collecting things and have found all the items I was missing before! Apparently once you get the full exploration, some of the original collectables are no longer available...so that won't be a problem this time around. There are several stews that make your villagers ill, I have found that the doctors get a lot better at healing when they actually have patients to heal. 2 of the black pansies from the graveyard and 1 fern found near the dry grass. Take any of the totems and place in the center of the uncovered mosaic. There is a gold circle in the center, and when you put the totem on it...the totem should bounce away. The you can get a villager to pick up the piece where the circle was. I don't know how to get the algae eatting fish...I built my dam already. Does that screw it up? how can I get faster tech points? All my villagers are busy but I am not getting anywhere with the tech points. It takes forever just to collect 1000, let alone 90,000. One way to build up tech points is to do research. Have as many people doing research as possible and it will build up your points. to remove the algae, you have to get more then ten(10) algae-eating fish to the sea... need more help? How do I get some one to heal a nother person? I have tryed with all my people and none of them are doing it. I have lost 3 people cause of it. I was just wondering how do you cut down the vines?? my villagers are not breeding .....can anyone tell me y? I tryed doing this over and over with both my master scientist to the vines and they do nothing. I have been trying this for 3 days now. How can I get them to make the tool? i opened the crate but unfortunately i dropped a villager on the builder carrying the gong i lost it..is there any way to get it back ????????????????? don't get frustrated so easily, just turn off the game and re-open, and there you have it, the cauldron is back at the firewoods, ok now? same thing with menahem, turn off the game and re-open, the crate will be back unbroken, brake it again and get it again, now be careful with the hand not to disturb the villager again, ok? anything else? what more can there happend on the mosaic other then the gong piece? Anyone actually finish this game? I have 8 different totems, all of the collections and all that happens is differnt sayings with the gong. Is that it? What is the recipe for them to stop breathing, so they can get the pieces under the water? The only thing left for me is a few of the collections. I have finished all of the puzzles. I have 77 Villagers at the moment and 118,000 food. I tried the game the first time and failed miserably but I decided to start over. Knowing what some of the early goals were from the beginning, I limited the number of births to conserve food until they had food sources secured. Basically I did not select anyone to be parents. I just made them have a baby so I could make sure there would always be a child around to pick up items. Now that I have unlimited fishing, and the crops, I have 10 women as parents. Right now I have over 45 children under the age of 14 lol I am only doing that to see how far I can get now that I have so much food and it grows by 20,000 a day at least. Now I just want to see how many totems I can get, how high I can push the population, and how many triplets I can birth. I have had 2 sets of triplets so far. If anyone has any questions, please ask and I will help, the best I can. Here is a screenshot that I took of my village a few minutes ago. Hi, I lost my fire does anyone know how to get it going again? I sent u an email, plz help. FOR ALL; algae is there but my master scientist does not catch any fish but only enjoys the pond. i even tried the no breath stew with him and no luck. just click a villager and go to the pile of wood and click there. then do the same for the dry grass and then put the villager on the pile to start fire. Just give it time, they will eat all the stew, then you just make the same one over again and it should work. I think it has to be a scientist for the magic effect to happen. I can't figure out what stew it is to make my people breath under water. Can some one please help me out? Can anyone tell me if you can get more than 90 villagers? When I try to breed them a message comes up (not enough housing) but I don't know how to build anymore. i had 3 master builders open the crate and it says "retrieving gong piece" but nothing was retrieved! is that a quirk in the game? am i screwed? i am having a huge problem!!!! when retrieving the last gong piece i told another villager to read the recently uncovered ancient words from under the vines....and when i had finished reading, the girl who was carrying the last gong piece no longer had it...so i checked my puzzles and it said i hadn't found it yet...so i proceeded to try and get the piece again..but, it doesn't show up now...does this mean i have ruined my game ? i really really hope not....someone please help me!! =( i am desperate. Hope somebody can help me! I am having trouble collecting the beetles. I see little red things in the grave yard, but can't pick them up. Have tried children and adults. No, you are not screwed, shut down your game and turn it on again it should be at the open crate... it happend to mine too, so no worries. What can I do with a stupid lazy villager? I try to teach him over and over and he learns nothing. Just wants to wander around. 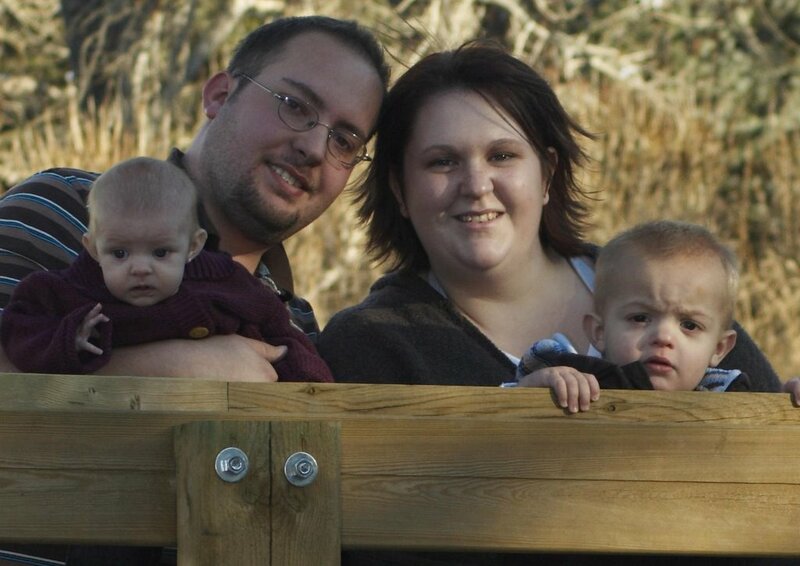 hey how do you make more than one baby at one time? like twins or triplets? I need advanced advice. All puzzles solved, All buildings built including a sewing hut, I have all 4 gong pieces and have even rang the gong about 7 times. I am capped at 90 villigers and my greaveyward is pretty full. i am so disgusted that i am not even training villagers any more - i dont care if i get more elders - they just die. there is nothing left to do but wait for these collectables to not show up..
there is a stew that completely restores anyone who eats it. How about this one? The gong piece from the mosaic has disappeared!! I got the piece to show up, had a villager pick it up to add to the ones in the encasement.I put 3 master builders at the crate, had it opened. I put another, villager there to pick up that piece of the gong. (This should have finished the gong) The villager from the beach made it to the encasement, the othe villager did not. After the celebration I went looking for the villager that had the piece from the mosaic, and couldn't find him anywhere. Also, the piece is no longer on the mosaic. It has just disappeared. Any suggestions? How do you get triplets? i have built hostiple and have loads of master parents!! Help!!! I don't know what to do.....My women stay Pregant!!! !, they have all been at 120 mins for like a whole day now!!!!! Please Help Me. hay jinnie, i have the same problem. i entered a comment yesterday and nobody has answered me yet. shaunalynn, i know this sounds stupid but are you sure you don't have the game paused? i have done that before myself.